Dropped into a preview exhibition of portraits by Eleanor Johnson at a local gallery, some wonderful paintings made with such a carefree approach big wide brushes and running paint scratches and squeegee type strokes, I was well impressed and inspired. not really having room for a 6 foot square canvas and a place to throw paint around I put my brushes down and pushed the paint around with my credit card. definitely need to think about how to work with more freedom and mess. Back at art-class for the second half of the term and we are painting on canvas, I have tried acrylic paper and canvas boards but actual canvas is yet another level. 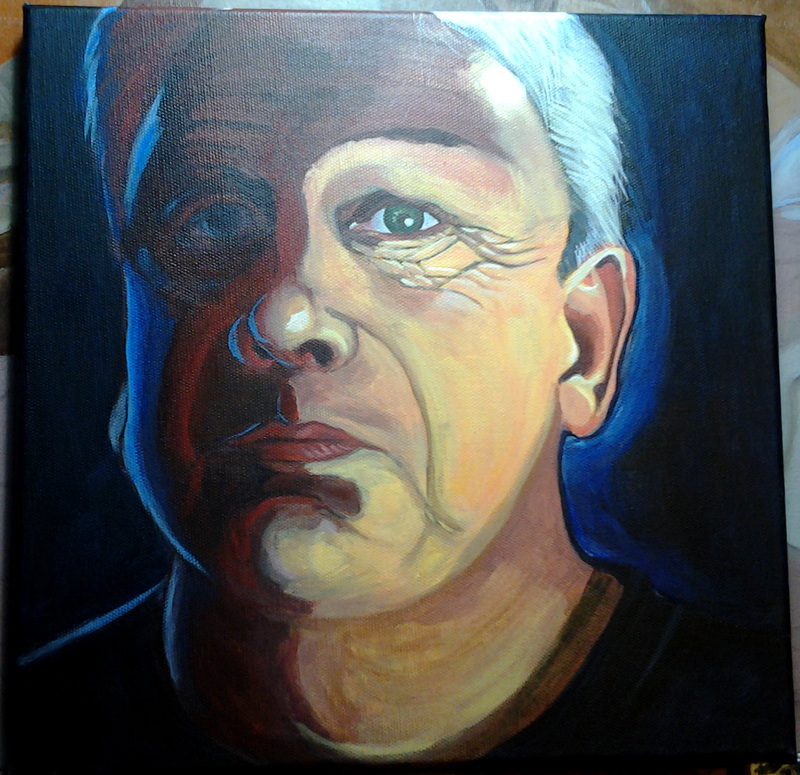 I am learning the surface you paint on is as important as the paint and the brushes you choose to use. 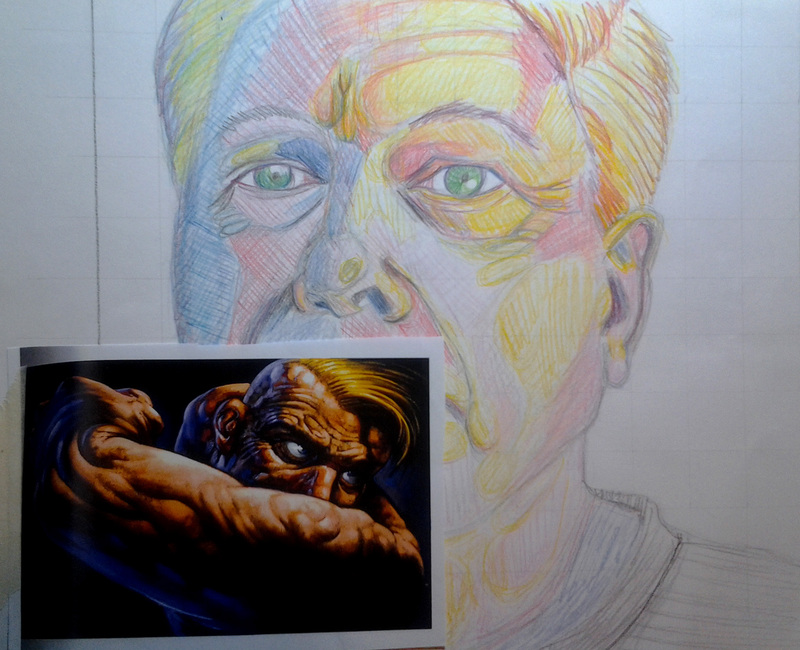 Open subject, so I selected a self-portrait and the style of Peter Howson one of my favourite artists.